Sign into Goodreads to see if any of your friends have read Hidden Figures. 65.0% "This book is the best of everything." WHY WERE WE NEVER TAUGHT THIS IN SCHOOL? Rage, rage, RAGE that stories like this have been whitewashed so far out of history that it literally takes 60+ years for modern, Internet-connected adults to find out that these fantastic women existed. 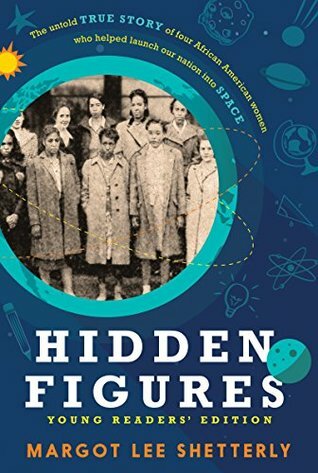 This is a lovely telling of the dazzlingly smart and incredibly driven black women who worked in Virginia for NACA (which became NASA) as human computers. They did all of the math that we'd now use graphing calculator or a computer for BY HAND. They faced discrimination both for being black and for being women, but they advanced anyway. Yes, you saw the movie. But read the book, because the movie focuses on the three central characters, and there were many more women at Langley. And while of course the women wanted better for their families they loved learning, mathematics, and the science of aviation and space travel. It's a nice antidote to "I'm just a hard working mama working long hours for my babies" stories. When technology changed the scopes of their jobs, they went back to the books to learn how to stay ahead of it all. I want to throw a copy of this book at anyone now who has posted that "You is smart, you is kind ..." quote from The Help anywhere.